Stylish and smart, the Columbus Oak Dining Chair Charcoal adds a sense of tradition to the home. Timeless in design and incredibly complementary to many settings, the Columbus Oak Dining Chair is a chic and versatile piece with a variety of uses. 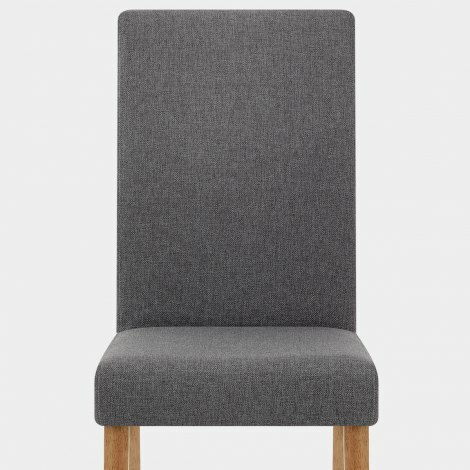 The padded seat and tall supportive backrest are upholstered in fashionable charcoal fabric, allowing you to relax and dine in superb comfort. Four solid wood legs boast a classic oak finish and provide a strong and sturdy frame. Added protective plugs on each leg help preserve a wide range of floor surfaces. 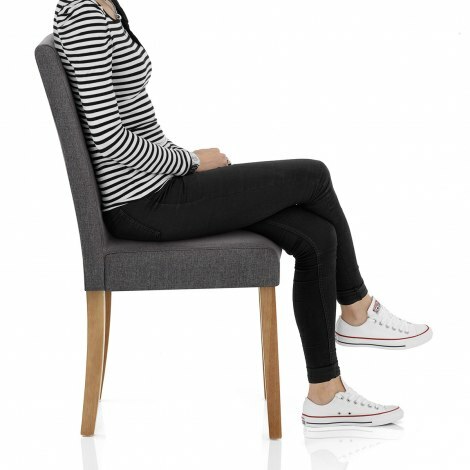 "Absolutely love these chairs I am so happy with them"
We were very pleased with the quality and quick and friendly service will definitely recommend. We are delighted with our purchase and with the service we received. The chairs look great, they are sturdy, comfortable and very well made. 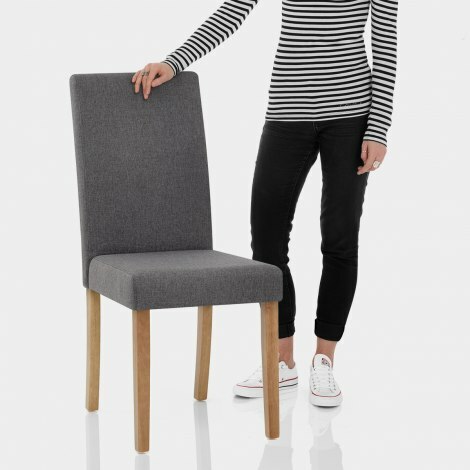 These chairs are incredibly good value for money, easy to assemble, and look fantastic. Delivery the next day. Beautiful charcoal colour. Very pleased with Charcoal chairs. Updated my kitchen. Easy to assemble and seem strong. Excellent chairs and excellent price we bought out island stool from here and they are a great match to them and after having a good experience the first time.